Mr. Desmond Okorieocha of 208 Puddingstone Drive, Fayetteville passed away on July 8, 2108 at his residence. 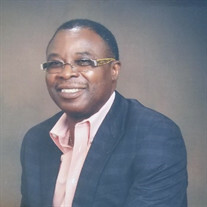 The family of Mr. Desmond Okorieocha created this Life Tributes page to make it easy to share your memories. Send flowers to the Okorieocha's family.